There are many online binary options brokers available for you to choose, each offering certain advantages and characteristics. One online broker is AnyOption.com, and here we’ll take a look at this particular broker and give you the info you need to see if it is right for you. It is pretty easy to register an account with AnyOption.com. AnyOption.com accepts deposits from credit cards and debit cards, international wire transfers, and a variety of domestic payment methods. The user interface used by AnyOption.com is very basic and streamlined. 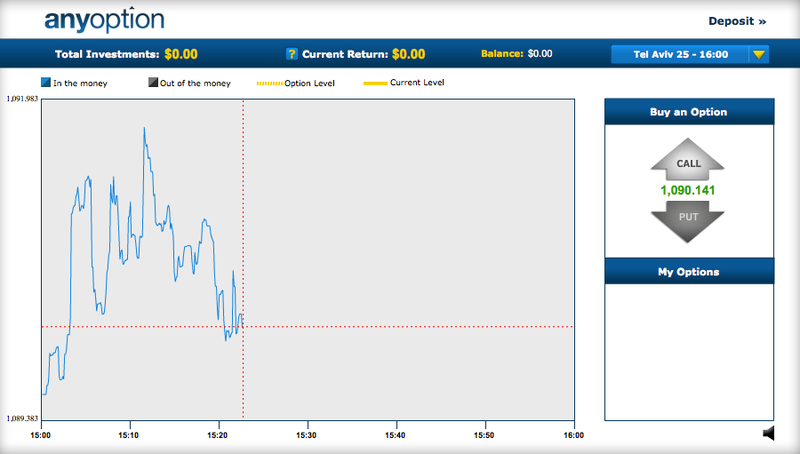 Control buttons are easy to see, and charts are prominently displayed and in delayed time (not real time). It is also easy to see the projected return and loss of the investment, complete with expiry times. There are also breaking news displays and hourly profit charts for your investments. All in all, AnyOption.com’s trading interface is perfect for beginners and those who don’t want to deal with clunky, cluttered trading platforms, or platforms with complex – and unwanted – indicators. One strength of AnyOption.com lies in the features that the website offers. AnyOption.com offers several trading features, including OneTouch. OneTouch allows the trader to profit if the price of an asset touches the barrier price just once during the week – regardless of the closing value of the asset at expiry. AnyOption.com also has two new features: Take Profit and Roll Forward. Take Profit allows you to close your contract before the expiry, for a premium of around $30. Roll Forward allows you to pay a premium and have your expiry date extended if you’re out of the money. Take Profit is very useful for volatile assets, but Roll Forward may not be worth the price in some cases. 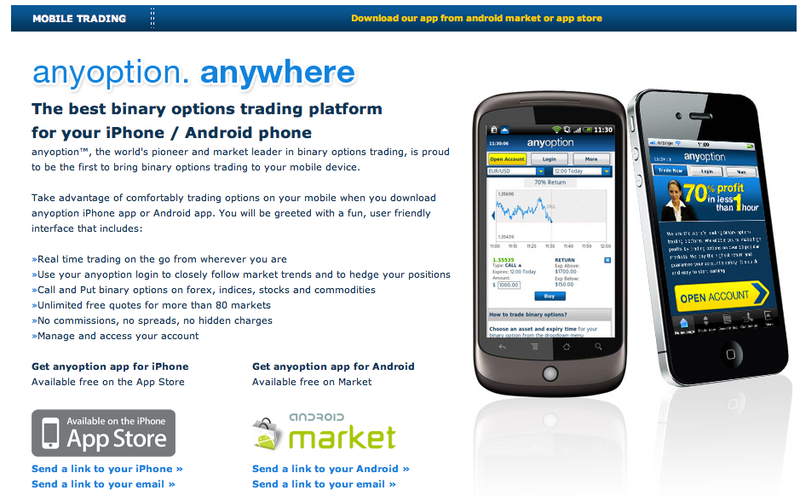 AnyOption.com also offers traders the possibility of trading from their mobile devices. Whether you have an iPhone or an Android, AnyOption.com offers easy-to-use and stable trading applications so you can trade the markets from anywhere. The applications can be downloaded from the Apple store and Android market. Lastly, AnyOption.com has Option+, a feature that allows you to sell your contract back to AnyOption.com before expiry and cut your losses. 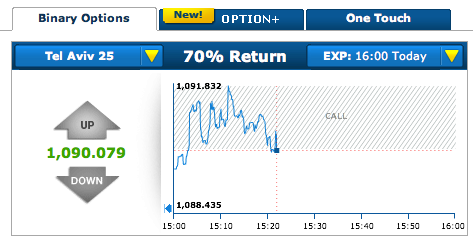 AnyOption.com advertises a 65-71% return on its options, with a return of 15% if the asset finishes out of the money (except for OneTouch options). On the lower end, a 65% isn’t the best return out there. AnyOption.com does not have commissions; instead, it charges a fee when you withdraw your funds. We also wanted to take a good look at the customer service provided by AnyOption. 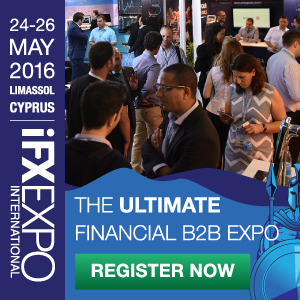 Customer service is incredibly important these days to binary options trading. To test the customer service provided by AnyOption, we took a list of questions to an online chat representative through their live chat program. We used their responses to these questions to evaluate their promptness, friendliness, and level of knowledge about their website and programs offered. One thing to note is that the customer service team is only available Monday through Friday. If you have a question on the weekend, it may have to wait. Other than that, we were pleased by their response times and manners, and never felt rushed or annoyed. They offer nine different customer support numbers and even will call you back if you leave a message. In terms of the responses to our questions, AnyOption was quite helpful. 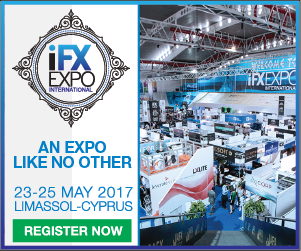 We learned, for example, that each forex option has at least two expiry times at any given point – one hourly, and one daily/weekly/monthly. Many pairs have multiple expiry times available. Also, we learned a bit of interesting news: AnyOption is suspending forex and commodity trading for U.S. traders (as of May 23, 2011) in order to “go through a global regulatory process”. The rep could not say who would be the regulating authority, but it might be CySec, since AnyOption is based in Cyprus. If you’re a US trader looking to trade commodity and forex binary options, you can do so at OptionBit.com – they even offer a free $500 binary options demo account upon request to get started. Overall, we liked interacting with the representatives and thought they were very accommodating. We wish that live chat were offered on the weekends, and it can be hit or miss connecting with them during the week at times, but from a big picture perspective we thought their customer service was excellent. AnyOption.com features are very nice and the website is great for beginners. AnyOption is worth a shot for those wanting to break into binary options.